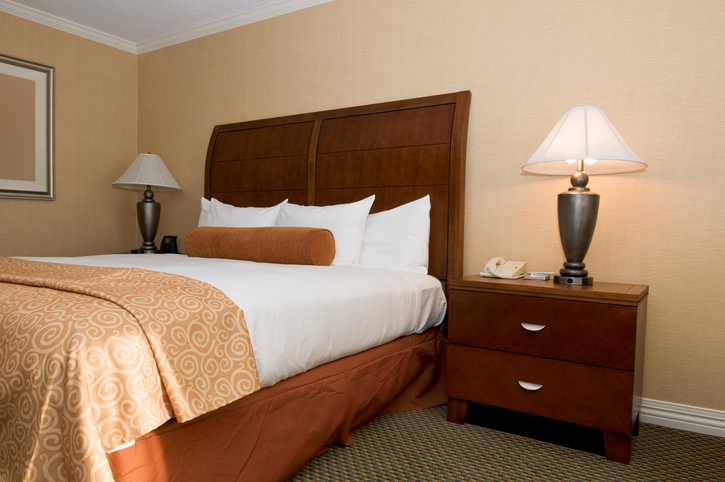 Arrive in Edinburgh and transfer (included) to your pre-booked accommodations (note: check-in time is generally from 2:00 pm). Spend your day independently exploring Edinburgh on your own. Overnight in Edinburgh. You depart from the World Heritage City of Edinburgh and travel north, crossing the Forth Road Bridge into the ancient Kingdom of Fife. 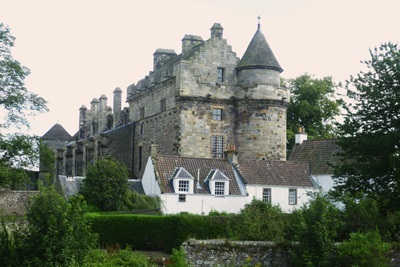 Your first visit of the day will be Falkland Palace, where during a private, guided tour you will be able to discover more of this pretty Royal Palace. Built between 1502 and 1541, it is set in the heart of the unique medieval village of Falkland and has been the residence and hunting lodge of eight Stuart mon- archs. Highlight of the visit will be to see the Real Tennis court, built in 1539! You continue to St Andrews and during a town walk, your guide will tell you more about its past and more recent history. Its connection to the patron Saint of Scotland, birthplace of Golf, ancient University town and matchmaker to a Royal couple – there is a lot to see! Your afternoon visit will be at the House of Dun near Montrose. This beautiful Georgian house, overlooking Montrose Basin, was built in 1730. It features superb plasterwork and now houses the Hutchison collection of Scottish colourists and the Stirling collection of furniture, ranging from the 18th century to the 1960s. On route to Aberdeen, where we’ll stay for two nights, we’ll make a photo stop at Dunnottar Castle, a dramatic and evocative ruined cliff top fortress in a truly stunning setting. Dunnottar is where they filmed Hamlet’s Macbeth and provided inspiration for Disney Pixar’s movie “Brave”. Today will be spent in the Royal Deeside area, famous for its many castles. 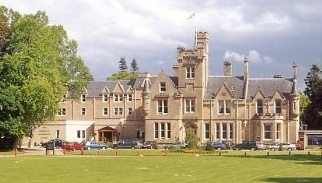 Your first visit will be Castle Fraser, one of the grandest of the Scottish baronial tower houses. Begun in 1575, the present castle contains an evocative Great Hall, fine furniture and many Fraser family portraits. You can round the visit off with a walk through the beautiful 18th century walled garden. The tour continues to Banchory where you might be able to see salmon jumping at the Falls of Feugh. Maybe take a short nature walk in Glen Tanar or the Burn o’ Vat. Lunch stop is at Ballater before continuing with your afternoon programme. Crathes Castle provides the highlight for the afternoon. Turrets, gargoyles and the ancient Horn of Leys given in 1323 by Robert the Bruce are just a few of the features of this historic castle. You are free to explore the house and the stunning gardens at your own pace. The gardens stay green irrespective of the time of year, as with the ancient yew hedges that frame the upper parts of the gardens, particularly the fountain and rose gardens. Wandering through the outstanding, world-renowned June Borders, beautiful vistas of the castle can be seen through the fusion of colourful flowers. Your tour heads further north today and starts the day with a visit to Fyvie Castle near Turriff. Fyvie Castle dates back to the 13th century and has a fine collection of arms and armour as well as 17th century tapestries and opulent Edwardian interiors. You then continue travelling through beautiful scenery and on to Nairn. 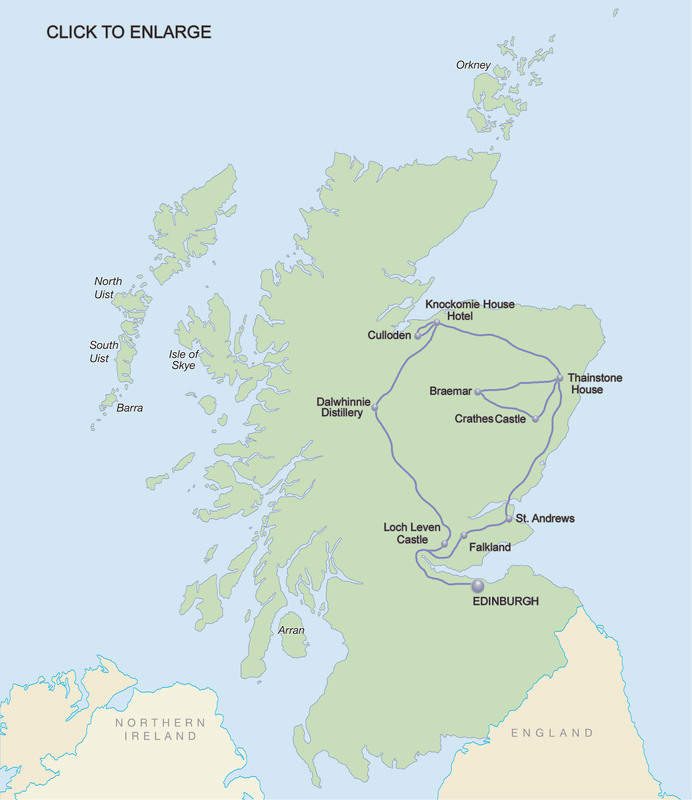 In the afternoon we travel to the Inverness area where you will be able to take the Clan Walk at the Culloden Visitor Centre. The Clan Stone Walkway is designed to commemorate the Scottish Clans and their clansmen who fought at the battle of Culloden with a special Insignia Stone. The Clans are represented with their individual Crest and personal inscription. After this visit we continue to Forres where we will stay overnight. We travel south again through some of the most stunning scenery Scotland has to offer. 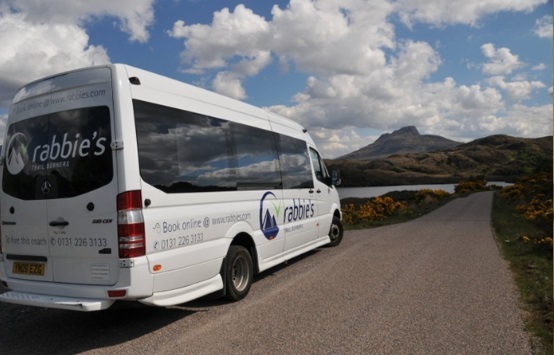 You will travel to Kingussie for a photo stop at the Ruthven Barracks. From here you continue to Dalwhinnie Distillery. Dalwhinnie is the highest Distillery in Scotland and takes its waters right from the source of the River Spey. You can take a tour of the distillery and also have the chance to taste the ‘Water of Life’. After a lunch stop in Pitlochry you head to Loch Leven by Kinross. In the middle of the Loch you find Loch Leven Castle, a late 14th century tower, which was the setting for the most traumatic year in the life of Mary Queen of Scots. It was in 1567 that she was imprisoned and forced to abdicate her throne before her dramatic escape a year later. You will enjoy a short boat ride over to the castle, following in the footsteps of Mary Queen of Scots. 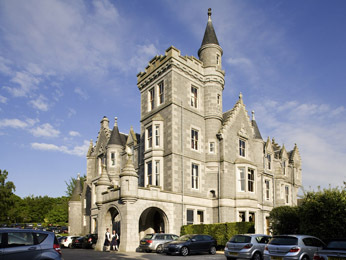 Then explore at your leisure the island and tower house, before returning back to your hotel in Edinburgh. Check-out of your Edinburgh Hotel today for your return home. Transfer to the airport is included. Departure date is the date the tour starts in Edinburgh. One would depart from the US. one day prior to the date noted.